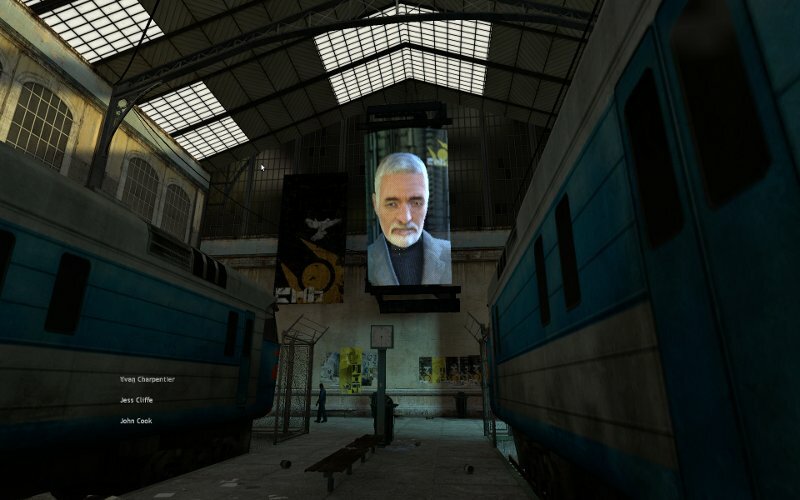 After I started Steam on Linux I noticed Half-Life 2 just entered beta, so naturally I downloaded it. It worked like a charm and the shot I took above was the start of the game. GO VALVE GO, PORT EVERYTHING! I have beta install options for Half-Life 2, HL2 Deatmatch & The Lost Coast. I bought the episodes in the Orange Box but that was a PS3 purchase. I still have yet to get them on my Steam account. The last time I played Half-Life 2 on Linux it was YEARS ago and I used wine. The experience now is much, much better. I have 101 Steam games, 39 now playable on Linux and the number keeps going up. I think all of Valve's games will end up there this year. Maybe not the first Left 4 Dead since those campaigns are available in 2, albeit changed a bit to include the additions in 2. I think you might be right save DoTA 2 as that isn't even on Mac yet. That said, they might bring it to Linux first, that would be kind of neat. Hmmm....Contemplating grabbing the Orange Box just to have the option, if that's what it takes. Ever since I saw Team Fortress 2, I've been waiting for the Orange Box. Already have Portal and TF2. Would be nice to round out the set and even if it's not on sale, it still seems worth the purchase cost. Anyone know if purchasing the Windows version is sufficient for access to the beta? @beansmyname If you purchase The Orange Box, the betas for Linux will be available to you. Yeah, I think bean is right :D Because the box copy in a store on PC gets you Steam Keys which translate everywhere. PS where do you buy the Orange Box on PC, the store? Does Steam sell it as a bundle any more?